Your kids will be the most stylish in the class with Penny Scallan. These bags, bag tags and lunch boxes, blend fashion and functionality. With simple, yet bold, designs your kid will love sporting a Penny Scallan. Australian-owned, each piece has been specifically designed to help your child stand out among his or her classmates. School outings are easy with roomy, eco-friendly backpacks. Penny Scallan products are designed to withstand all the adventures kids go on. It’s not hard to see that a boutique designer is behind the individual, high quality brand. 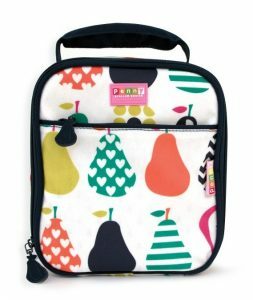 Browse from a range of premium kids bags and accessories at Baby Vegas. We stock the latest and greatest from Penny Scallan. Explore all the different forms of bags, from pencil cases to backpacks, snack bags to lunch backpacks. For quiet days at home, deck out your home with Penny Scallan beanbags, clocks, moneyboxes, storage boxes and nap mats.